It's Monday, so that means it's time to curl up in your favorite chair, grab a second cup of tea or coffee, and shop on Etsy. If the weather is as warm at your house as it is at mine, you might want to break out that porch chair and browse outside with your laptop. I found some real pretties this week. My favorites list is really growing. these are definitely at the top of my list. 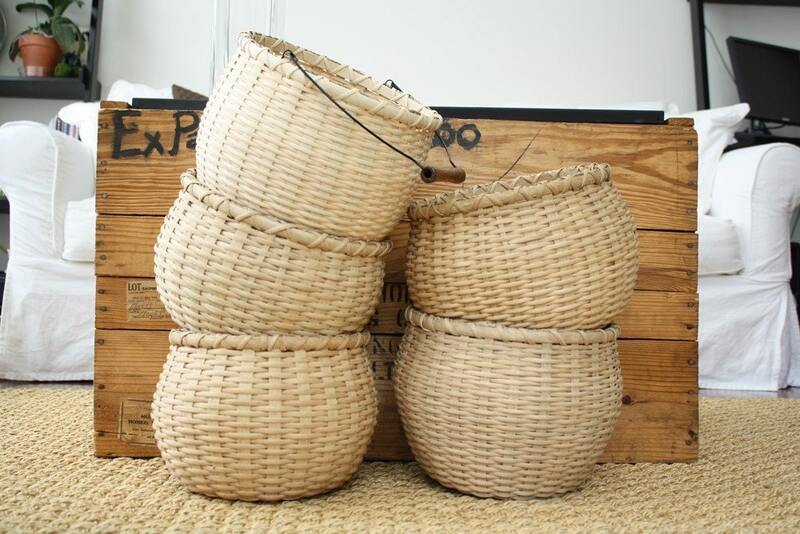 I love handmade baskets, and these are beautiful in their simplicity. 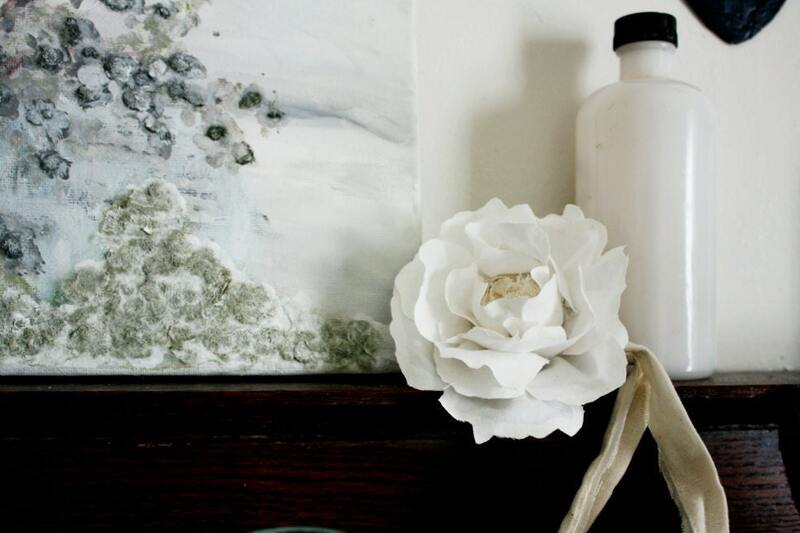 peonies are one of my favorite flowers, and this is one you can keep year round. 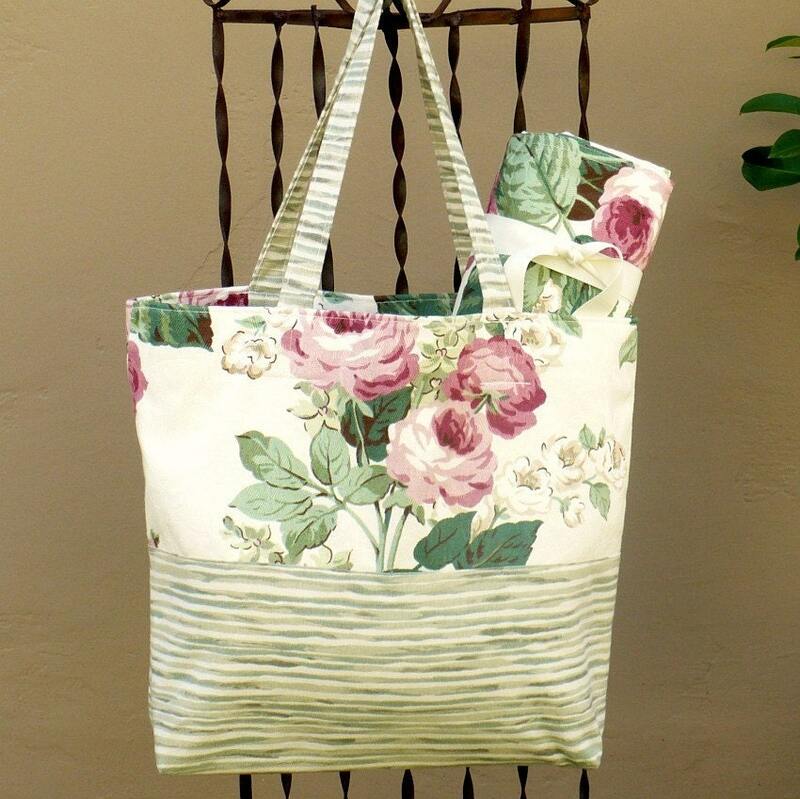 white peony hand stitched and painted fabric art. 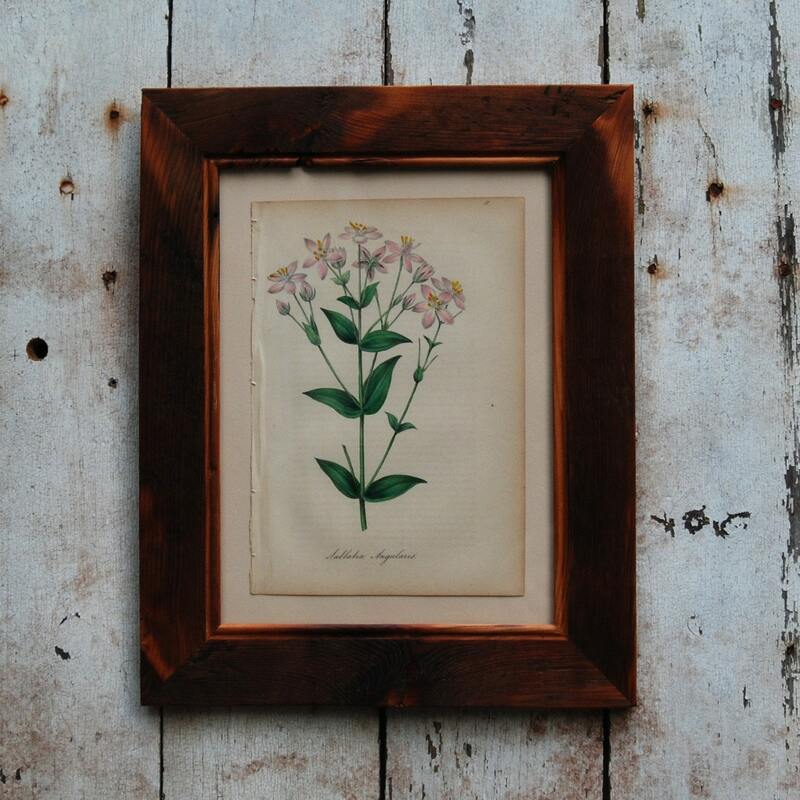 nothing lovelier than pretty botanical prints. especially when framed in a beautiful handmade frame. I had a dress almost identical to this back in the day. Love it. and just in case you are planning a picnic or a day at the beach, this is certainly a pretty take-along. well, I am off to see the surgeon this morning. I'll bring you up to date tomorrow.. So many pretty finds! 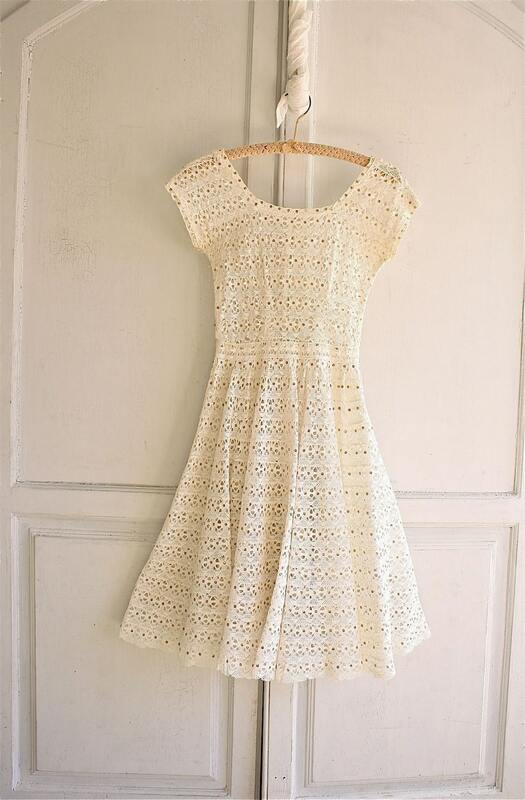 That crocheted dress is lovely. Good luck today! Those canisters really are something special. Lovely items all. We had gorgeous weather on Sunday. I did pull out a couple of my porch chairs. I can't wait to sit out there with my laptop. 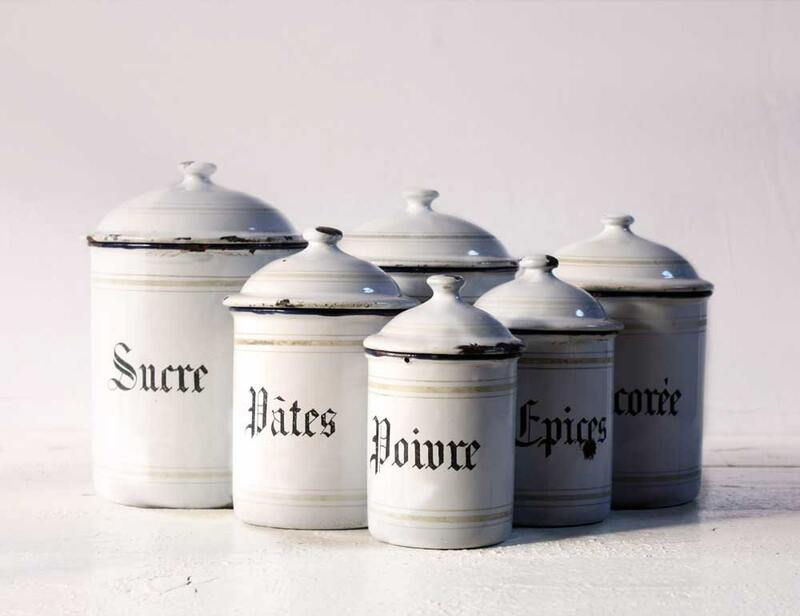 Love the canisters! I just bought a "lace" dress, although not vintage. Guess lace is big again! Hope all is well with you! Thanks for sharing! Lovely finds today! That dress is gorgeous. Great finds!! Love the baskets!! and the cannisters are amazing. Good luck at the doctor today! Hugs..
All very pretty and light! Love it! Love those metal canisters! It's all snowy here, but hopefully melting. I'm completely jealous of those sitting outside right now. Great finds! I love baskets and these are really nice. Good luck at your appointment! I could get lost on Etsy! So many fabulous things, so little money!! Those enamel canisters need to come home with me - seriously! I opened a shop the other day - selling my stamped vintage silverware. We'll see how it goes - it's kind of on the down low - just testing the waters. Yum! Those canisters are fantastic! I am always inspired by great finds on etsy, mostly because I don't have much time to browse around. Have a successful week! 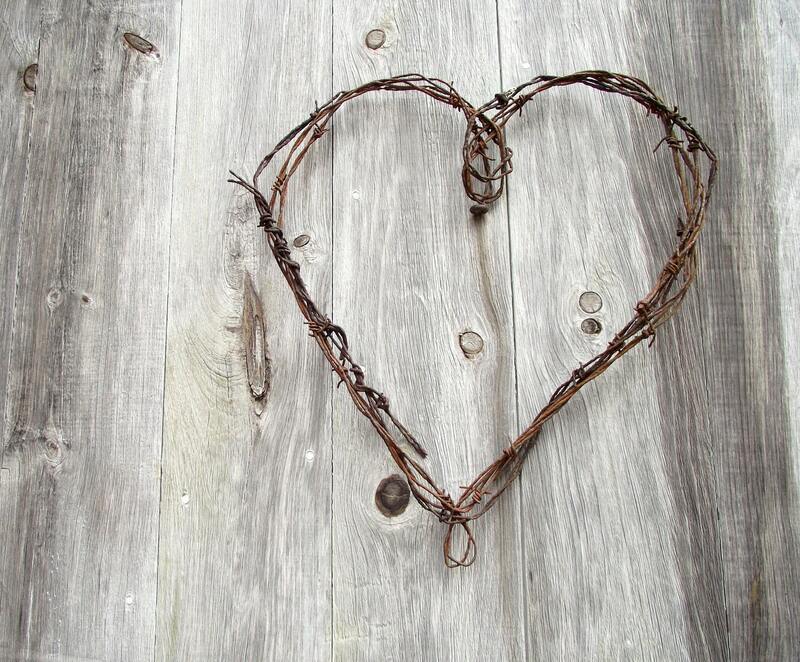 I love those canisters and I might just have to try making my own barbed wire heart. I love those enamel canisters! Very cute!! the dress is my favorite! hope everything is going well.